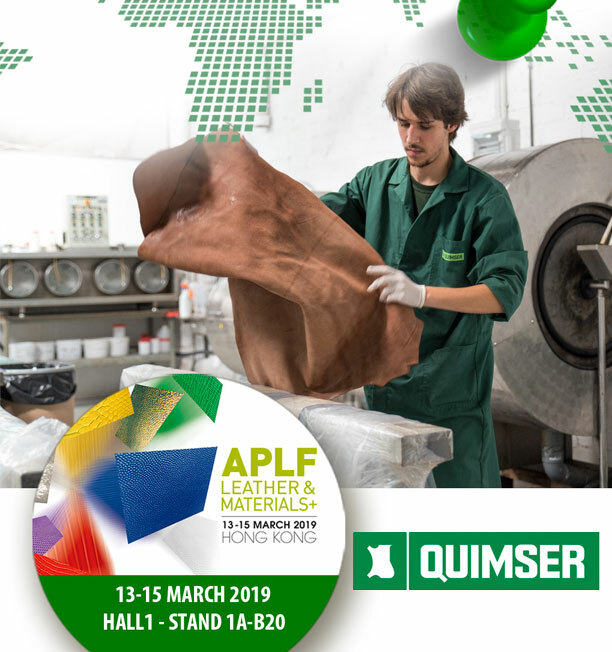 WE ARE EXHIBITING AT APLF LEATHER & MATERIALS 2019 | QUIMSER S.A.
One more year we are exhibiting at APLF LEATHER & MATERIALS, an important landmark for the tanning industry around the world. APLF is an unavoidable event that attracts more than 1,200 exhibiting companies from more than 50 countries and regions and for three days offers the latest for the leather industry. From March 13 to 15, we look fordward to meeting you at Hall 1, stand 1A-B20 (B ZONE) at the Convention & Exhibition Center in Hong Kong to show you our new developments.